Full range of shocks springs available to fine tune the ride (AX30218 Spring 14x70mm 2.07 lbs/in - Super Soft (red) included as standard). 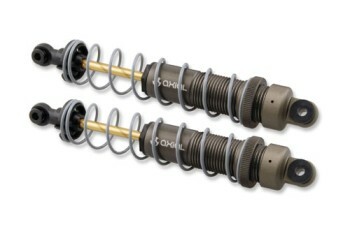 Can be used as rear shocks for EXO. Awesome!!!!!!!!!!!! Finally shocks that have not leak "yet" after some hard rock pounding action.